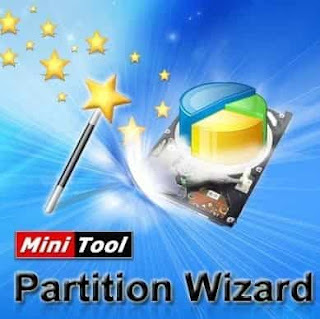 MiniTool Partition Wizard 2016 is a partition software that is totally Free to Download and use. It allows you to create, manage, organized and delete drive partitions easily. Not only it allows you to make your drives but also it fully optimizes usage of the disk and makes sure that your files are safe and secure at all times. There is a Home Edition and Professional Edition that you can get in full version but only if you purchase this program. Such partition managers save you a ton of time because it has built in tools and options that can do certain actions for you. There is also a bootable CD that you can insert. There are lots of different benefits that you can take from MiniTool Partition Wizard 2016 and those include resizing and moving partitions without any hustle. One of the other great advantages that you get is that you can easily change between the disk type you or otherwise also known as converting disk portioning table. There is currently support for GPT, MBR and many others to be added soon. Users can also change the main file system of the hard drive from FAT / FAT32 to any other format and you also do not need the knowledge of remembering boring commands and also you will not need to format your entire disk and the data on it to accomplish that. Supports EXT, EXT3, EXT2 file systems. Works on 32 bit and 64 bit operating systems including Microsoft Windows 10. Many new big fixes have been issued related to partitioning. Comes with a built-in help feature that guides you in your every step. Capable of creating dynamic disks. Allows system administrations to export and restore all the configurations like Deep Freeze Standard Edition. There are also some downfalls and the major one is the risk of losing value able data. Get MiniTool Partition Wizard 2016 Free in full setup for Windows 7/8/8.1/10. This is the offline and standalone installer of partition utility. Supports both x86 and x64 architectures easily.